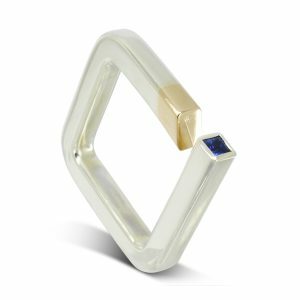 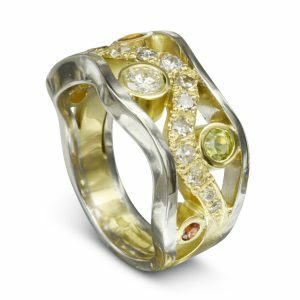 Mixed metal refers to the practise of combining precious metals of different colours. 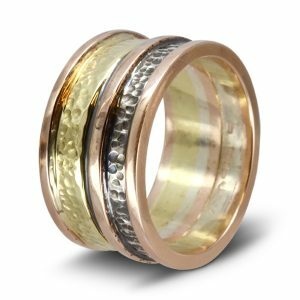 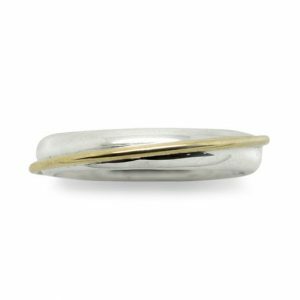 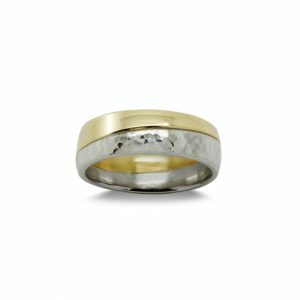 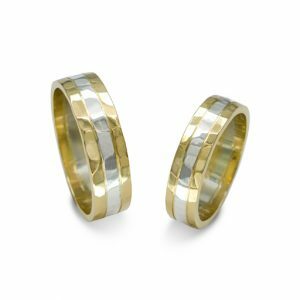 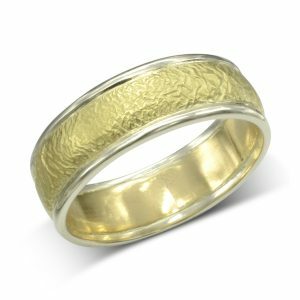 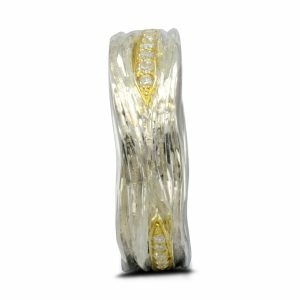 When used in a wedding band mixed metal has a striking and unusual effect. 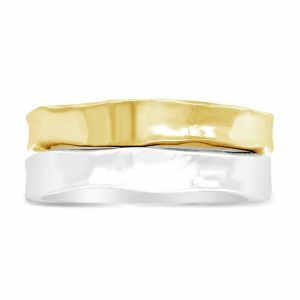 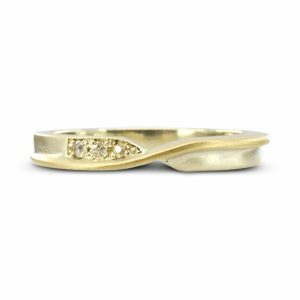 It’s the perfect way to make your wedding band unique. 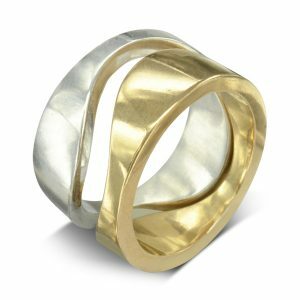 is fashionable at the moment and looks fabulous with either yellow or white gold or mixed with both. 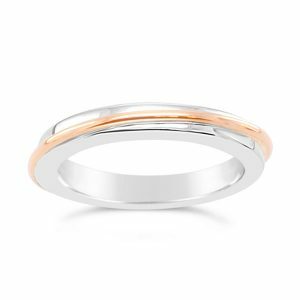 9ct rose gold is a strong coppery red colour and 18ct rose gold a subtler pink. 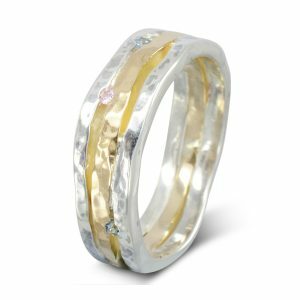 colours also vary depending on the carat. 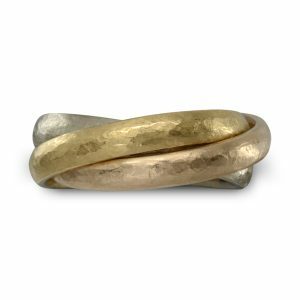 22ct gold is the strong buttery yellow that is always seen in middle eastern and ancient jewellery in museums. 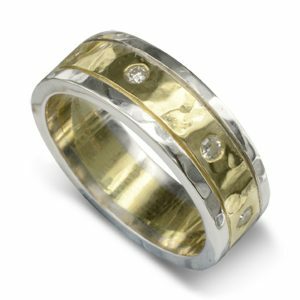 18ct yellow gold is also a good strong yellow and is the material we usually use when mixing metals because of this. 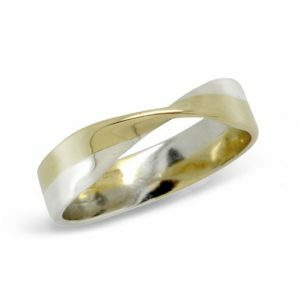 9ct yellow gold is paler so if it is a subtle effect you want then it can be ideal. 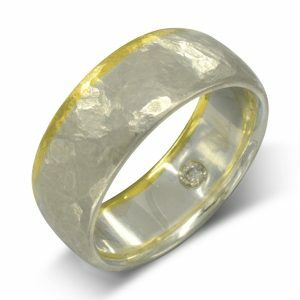 There are five white precious metals that we use and their shade of white varies considerably. 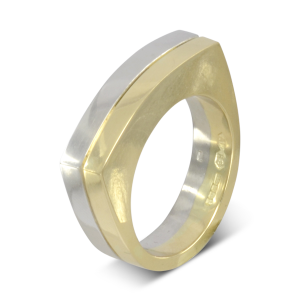 Silver is the colour that we often think of as a truly white metal. 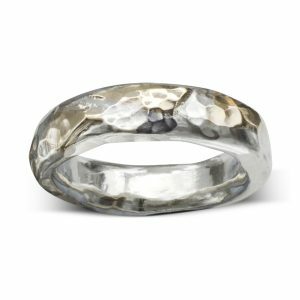 In comparison platinum, the next whitest looks very slightly greyish though only when side by side with silver. 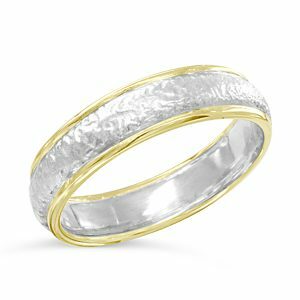 18ct white gold is a dark grey. 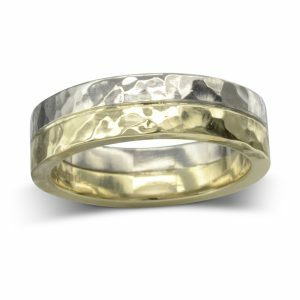 If you have a commercially produced 18ct white gold engagement ring then it has probably been rhodium plated which slowly wears off and needs to be redone. 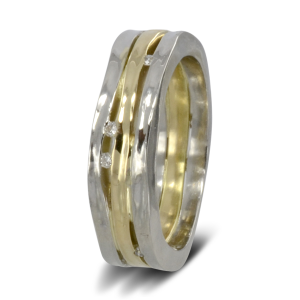 This is why we do not recommend 18ct white gold unless you like it’s true colour. 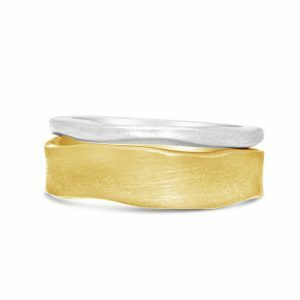 Combining silver and 18ct white gold can give a fantastic grey and white contrast. 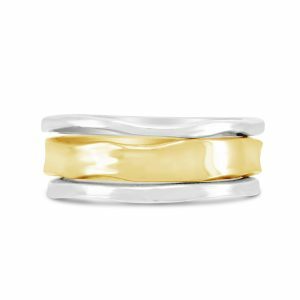 18ct white gold, palladium and platinum are a great option if you wear stainless steel jewellery or watches which has a similar grey white colour with the 18ct being the best match.